Do City Really Have The Edge In Title Race? 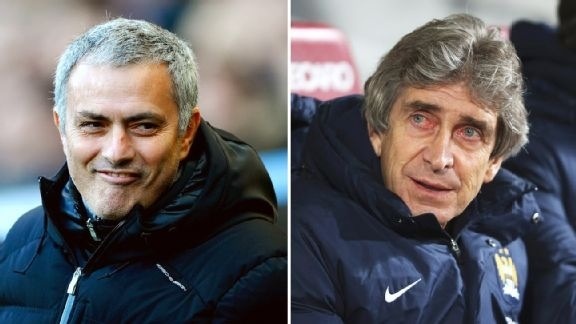 With Pellegrini confidently stating “the biggest club is City now” and the Manchester club still fighting on all four fronts, Chelsea boss Jose Mourinho believes as far as the Premier League title goes at least, Man City have the advantage. Although 3 points behind us in the league, City have a game in hand after their midweek trip to Sunderland was postponed due to adverse weather conditions. The Manchester derby has also been pushed back in March to allow for their appearance in the Capital One Cup final – all factors Jose Mourinho believes could work in their favour. Is he right though? Or will a backlog of fixtures be more of a hindrance than a help to City?